Thirty eager girls from the Rwinkwavu area, members of Ready for Reading’s girls clubs established in partnership with LitWorld www.litworld.org, participated in a week-long International Theatre Literacy Project workshop (August 18-22). ITLP www.itlp.org conducts theatre workshops and aims to develop independent thinking, empowerment, leadership and gender equity. The workshop, lead by New York actor Channie Waites, Rwandan Actor Media Kayitesi, theatre student Jeanne d’Arc Zaninka and ITLP volunteer Flordelino Langudino, had the Rwinkwavu Community Library/Learning Center (RCLLC) buzzing with anticipatory energy as the girls brainstormed around the chosen theme of their story “confidence/finding your voice/empowerment”, a consistent focus of conversation in their weekly club meetings. 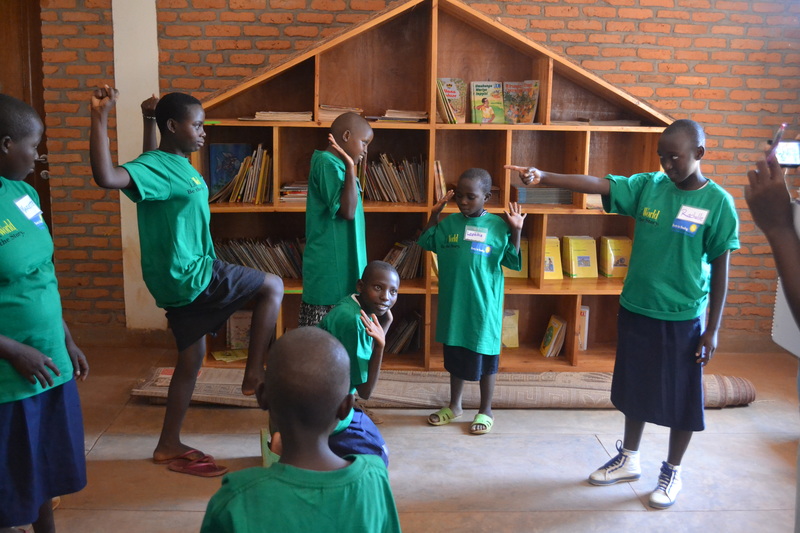 The girls wrote the script, rehearsed and performed the play, working in both English and Kinyarwanda. 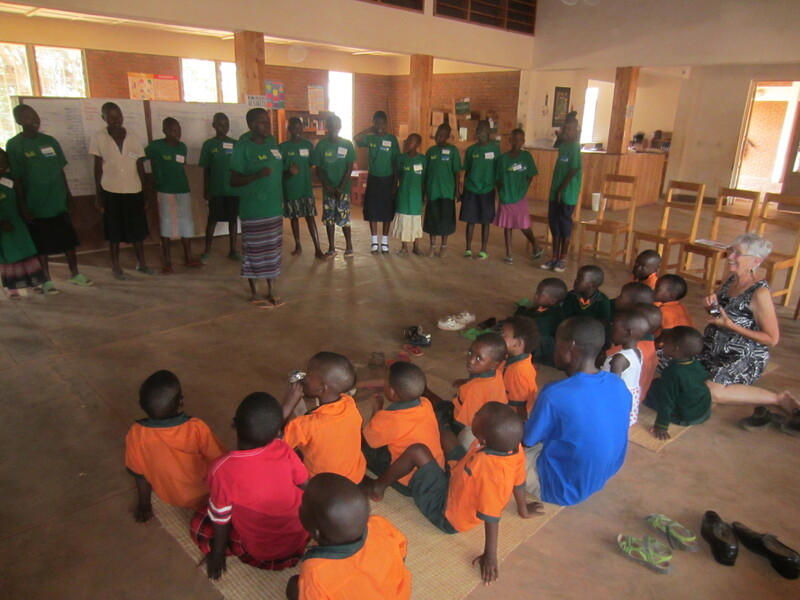 The culmination of the workshop was an August 22nd performance in the RCLLC amphitheater for the entire community with the neighboring Agahoza Shalom Youth Village/ ITLP theatre group coming to Rwinkwavu to share their play. 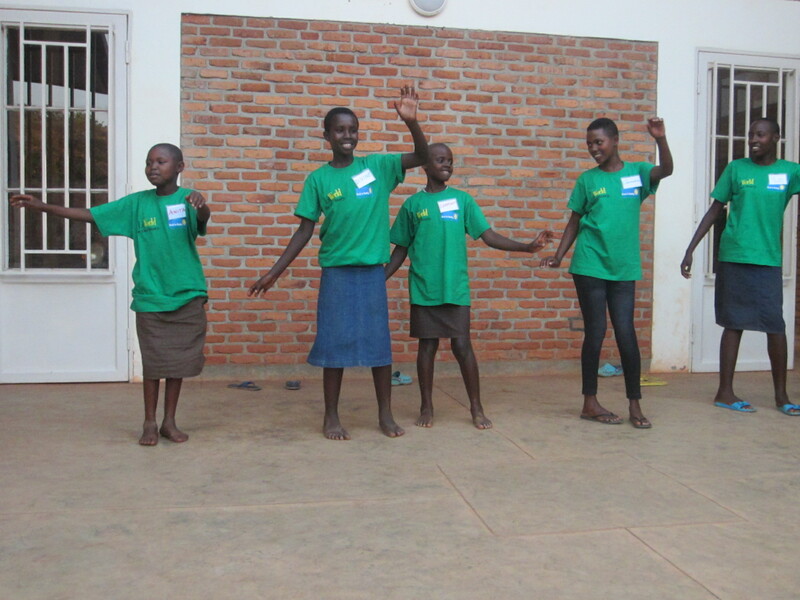 The experience of transforming their story into a performance showcase, “play the story” as well as improving both their verbal and nonverbal communication skills, generated a powerful shift within the girls, visibly boosting their confidence not only over the course of the week, but effecting a deeper, lasting change in motivation and empowerment. 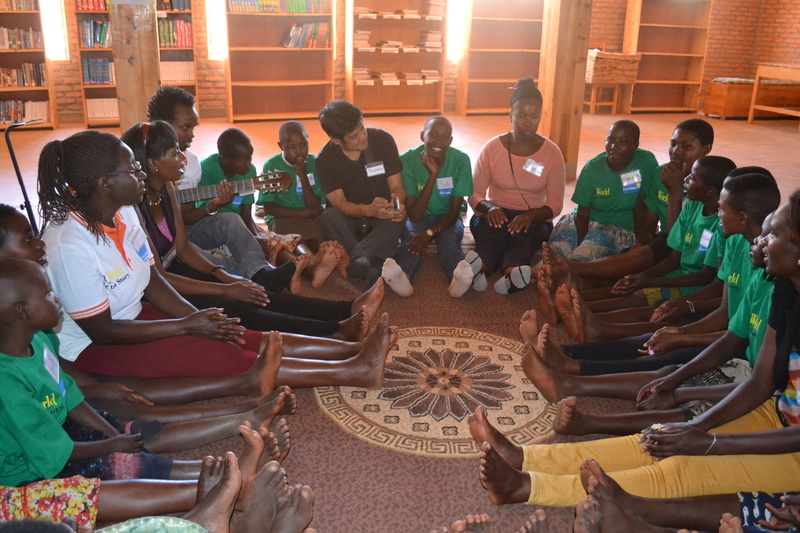 This three-way collaboration among Ready for Reading, ITLP and LitWorld illustrates the value of this holistic approach to literacy and learning and the power of partnerships in forwarding our shared goals.